Bonnell, M (2009) Fellowship and Honour. Bonnell, M (2009) On the fractured stage of the book. The Eagle Gallery, London, 2009. Cockayne, A and Hoare, P (2009) Dominion: a film, symposium, exhibition & publication. Curtin, B and Dutton, S (2009) Unspeaking engagements. The Art Center, Chulalongkorn University, Bangkok. Dalwood, D (2009) Endless Night. Gagosian Gallery, Beverley Hills CA, USA, 17 September - 7 November 2009. Dutton, S and Curtin, B (2009) Unspeaking Engagements [curators]. Art Center of Chulalongkorn University, Bangkok, Thailand, 27 August – 3 October 2009. Dutton, S and Swindells, S (2009) Institute of Beasts. In: Curating Knowledge, Alsager Art Centre Gallery, Manchester Metropolitan University, Alsager, UK, 2 - 6 February 2009. Dutton, S and Swindells, S (2009) The Institute of Beasts. Kuando Museum of Fine Art, Taipei, Taiwan, 20 June - 8 August 2009. Fearns, R (2009) Open West Exhibition. Cheltenham, UK, 21 February - 27 March 2009. 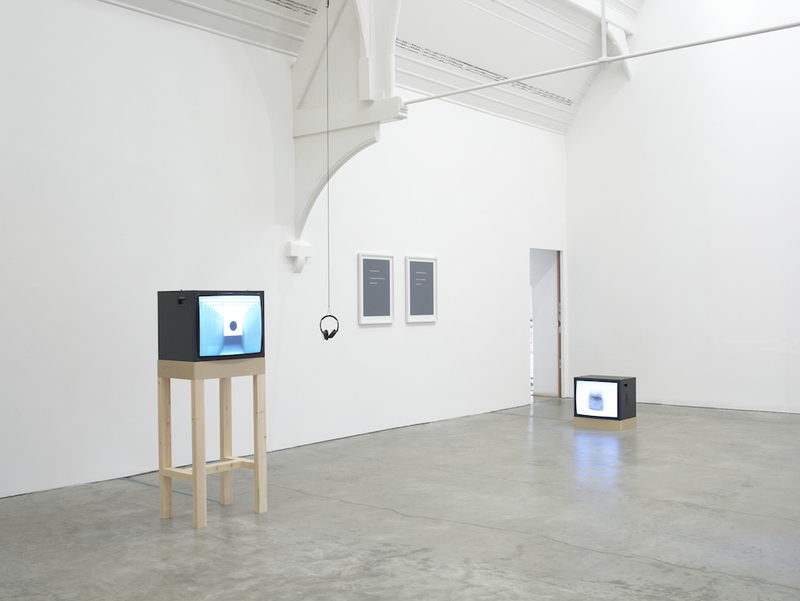 Fearns, R (2009) Solo and group exhibitions. ROOM, London, UK, 23 July - 23 August 2009. Fisher, T, Keyte, J and Wood, N (2009) Hands on - hands off on hitting your thumb with a virtual hammer. In: Undisciplined! Design Research Society Conference 2008, 16-19 July 2008, Sheffield Hallam University, Sheffield, UK. Harman, W.H (2009) Emerge [group exhibition]. Farnham Maltings, Farnham, UK, 2009. Harrison, K (2009) Brother. In: Possibilities and Losses: Transitions in Clay, group exhibition with Clare Twomey (curator), Linda Sormin, Neil Brownsword, Middlesbrough Institute of Modern Art, 22 May - 16 August 2009. Head, A (2009) Jurassic Light Years (a projected virtual environment). Imaginalis, Chelsea Art Museum, New York, USA, 5 March - 4 April 2009. Head, A (2009) Students, Academic Staff, Clients and the Design Industry – Can Fee Paying Clients Give Projects to Design Departments’ Students and Keep All Stakeholders Happy? In: GLAD09, 21 - 22 October, York St John University. Head, A, Glen, N and Thompson, S (2009) A 'hybrid space’ for peer review: can Facebook inspire new ways of thinking? In: 8th European Conference on e-Learning, 29-30 October 2009, University of Bari, Italy. Head, A, Glen, N and Thompson, S (2009) 'A 'hybrid space’ for peer review: can Facebook inspire new ways of thinking?' In: Remenyi, D, ed. The proceedings of the 8th European Conference on e-Learning : University of Bari, Italy, 29-30 October 2009. Academic Publishing, Reading, pp. 732-741. ISBN 9781906638528 Please click the title to check availability. Henley, S (2009) Analog Catalog: investigating the permanent collection. Samuel Dorsky Museum of Art. State University of New York, New Paltz NY, USA, 14 February - 14 June 2009.
Henley, S (2009) Museums, shops, ladders and lights. Samuel Dorsky Museum of Art, New Paltz, New York USA, February 2009. Khatir, L (2009) The vital space of painting: changing perceptual and material conditions of space, place and viewer in contemporary European abstract painting. PhD thesis, Bath Spa University. Kidd, N (2009) Inflate series. In: In with the New, Camden Arts Centre. Lalic, M (2009) The history paintings: solo exhibition. Madison Contemporary Art, London, UK, 18 March - 18 April 2009. Luzar, R and Collins, L (2009) Pause records. In: Making Sense: For an Effective Aesthetics, 25 September 2009, Little Hall, University of Cambridge, UK. Medjesi-Jones, A (2009) Exiled lines. Ruskin Gallery, Cambridge, 05 - 12 November 2009. Minott, P (2009) Grotesque accidents in philosophy: an artist's book, an alternative primer in Western philosophy. Bath Spa University, Bath, UK. Neudecker, M (2009) Two installations included in Larger Than Life, Stranger Than Fiction 11. In: Kleinplastik Fellback Triennial, Fellbach, Germany, 12 June -11 October 2010. Parry-Williams, T (2009) Textile in Progress [group exhibition]. Amities Tissees, Paris, 16-24 February 2008. Parry-Williams, T (2009) Vocation: woven textiles by Tim Parry-Williams. Ruskin Mill, Nailsworth, 12 Sept - 1 Oct 2009. Robinson, N (2009) Wallpaper magazine front cover (Design Awards issue). Southall, A (2009) Andrew Southall. In: One, Stokes Croft, Bristol, 2-5 April 2009. 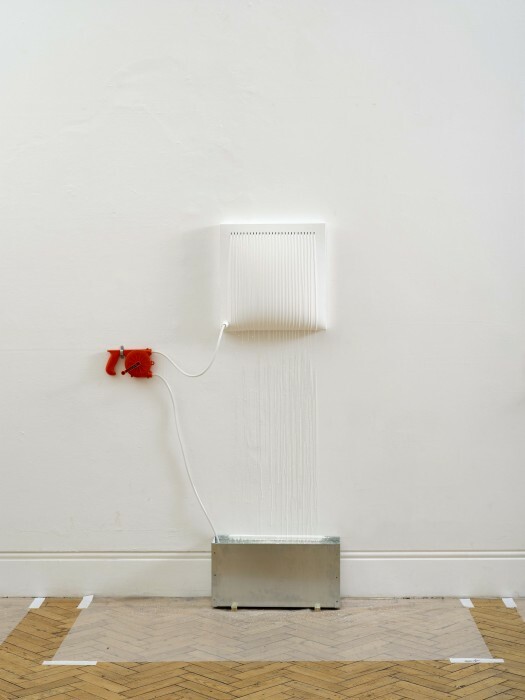 Southall, A (2009) Electrically charged & insulated sculpture. In: Multiples, King Square Avenue, Bristol, UK, 12 June 2009. 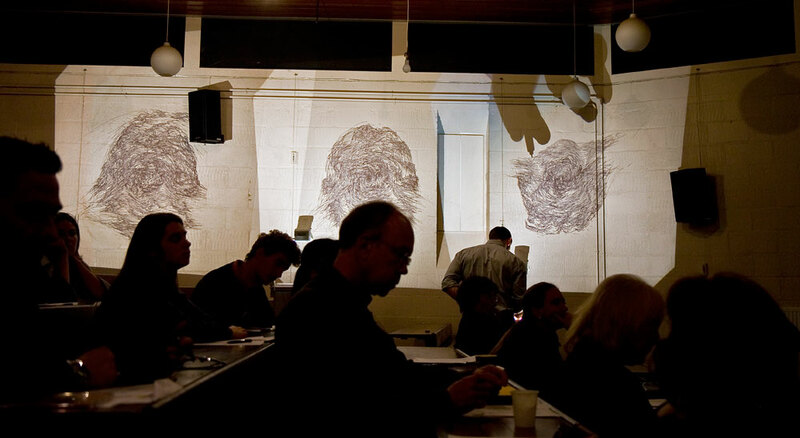 Taylor, A (2009) Drawing Inferences: solo exhibition. Peter Pinson Gallery, Sydney, Australia, 28 October - 14 November 2009. Taylor, A (2009) A mon seul desir: the tapestry paintings: solo exhibition. The Drawing Gallery, Shropshire, UK, 10 June - 1 August 2009. Taylor, A, Dyke, A and Courtney, C (2009) Anita Taylor interviewed by Anna Dyke and Cathy Courtney. Vaughan, S (2009) A Catfish Sleeps. Pavilion, Leeds, UK (commission); Djanogly Gallery, Nottingham, UK (exhibition), 16 January - 28 February 2010. Vyner, T (2009) Tim Vyner ARWS: World Games (solo exhibition). Bankside Gallery, London, UK, 25 - 29 November 2009. Wilson, C.J.R (2009) Practice-based research into the combination of hand and digital making processes in ceramics. In: 3D Print Technologies and their Creative Application in the Arts and Crafts, 9 December 2009, Tobacco Factory, Bristol, UK. Wood, J and Harrison, P (2009) No Time. Vera Cortês, Art Agency, Lisbon, Portugal, 29 May - 25 July 2009. Wood, J and Harrison, P (2009) There or Thereabouts. Gallery von Bartha (Garage), Basel, Switzerland, November 2009. Wood, J and Harrison, P (2009) White Shirt: Empty Cube. Appleton Square, Lisbon, Portugal, November 2009. Woods, C (2009) Daddy Witch - exhibited in the group show The Dark Monarch: Magic and Modernity in British Art. Tate St Ives, Cornwall, UK (10 October 2009 - 10 January 2010); Towner Contemporary Art Museum, Eastbourne, UK (January 2010 - April 2010). This list was generated from ResearchSPAce on Tue Apr 23 03:16:31 2019 UTC.